The record-breaking phenomenon is back with a season that proved to be well worth the wait! 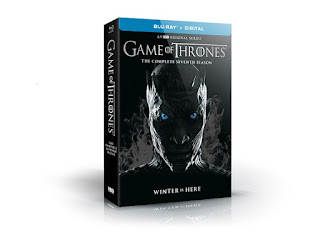 Action-packed from start to finish with the series’ most epic battles yet, the HBO® drama series Game of Thrones: The Complete Seventh Season will be available for Digital Download September 25th and on Blu-Ray™ and DVD December 12th. 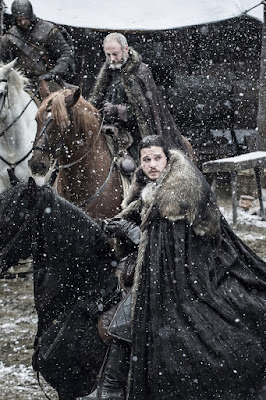 The latest season of Game of Thrones featured the most-watched premiere and finale episodes in HBO history, and the series remains the most-awarded drama series in Emmy® history, with 109 nominations to date and winning the 2015 and 2016 trophy for Best Drama Series. Are you a fan of the Games of Thrones television series? I know a lot of you are because it is a very popular show. My husband is more of a fan than I am. He has read some of the books but I haven't yet so I have no idea if this tv series stays true to the books or not. Anyway, I did enjoy season 7. 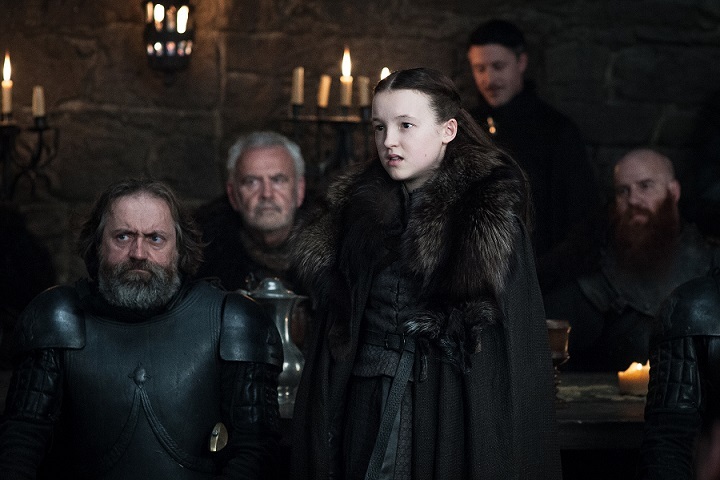 It isn't my favourite season but I still enjoyed it and find it entertaining and so much goes on in the series that it does get you to keep watching. The battles were fantastic, the story great and like I said there is so much going on that you have to watch every single episode. I know my husband and I will watch the series so far again in the future. Only problem now is we have to wait until 2019 (?) for season 8th. Game of Thrones:The Complete Seventh Season is now available to purchase online and in stores near you.